Russia’s Energia Space Rocket Corporation has developed a three-hour (two-loop) scheme for manned Soyuz MS spaceships to fly to the International Space Station (ISS), Chief Designer for Crewed Space Systems, Academician Yevgeny Mikrin said on Tuesday. 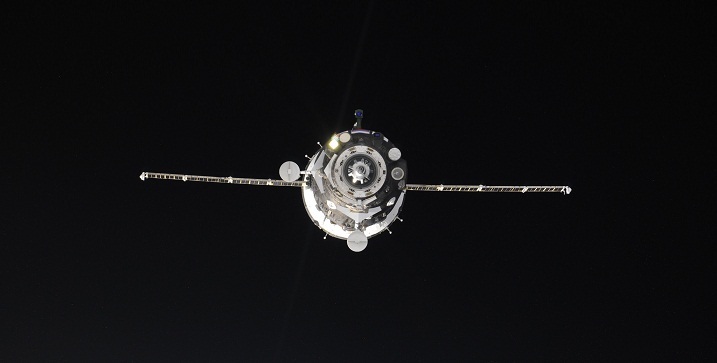 "Proceeding from the capabilities of the Soyuz MS spacecraft, a three-hour two-loop scheme of approaching the International Space Station has already been developed," Mikrin said, without specifying when the new scheme would be tested aboard the Soyuz MS spacecraft. Developed by RKK Energia, Soyuz MS is a modified version of the Russia’s flagship Soyuz TMA crewed vehicle currently transporting international crews to ISS. The upgrades include an improved position control engine and a GLONASS/GPS system. The spacecraft also has a new approach and docking system, a new computer, and more power efficient solar panels.